Ladies are invited, and this is also a perfect night to bring a guest! Oktoberfest Attire (e.g. checked shirts, suspenders, hats) encouraged. 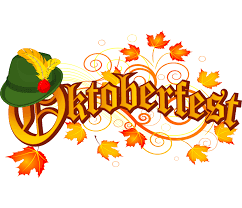 $10 prize for anyone wearing Lederhosen or Dirndl!